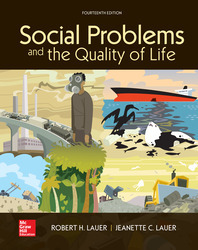 Social Problems and the Quality of Life is a thought-provoking text providing thorough coverage of the social problems that most acutely impact the quality of our lives. Chapters define what a social problem is, and address a number of questions crucial to understanding social problems. Learning is supported through several pedagogical features such as Global Comparison boxes and public policy sections, as well as study questions, internet resources, and ample review materials.